PORTWIMS will enhance the science, technology and innovation profile of marine science and Earth observation at the Faculty of Sciences, University of Lisbon (FC.ID), as well as individual staff members, through twinning with two research-intensive, internationally-leading institutes: Plymouth Marine Laboratory (PML) in the UK and Alfred Wegener Institute Helmholtz Centre for Polar and Marine Research (AWI) in Germany. 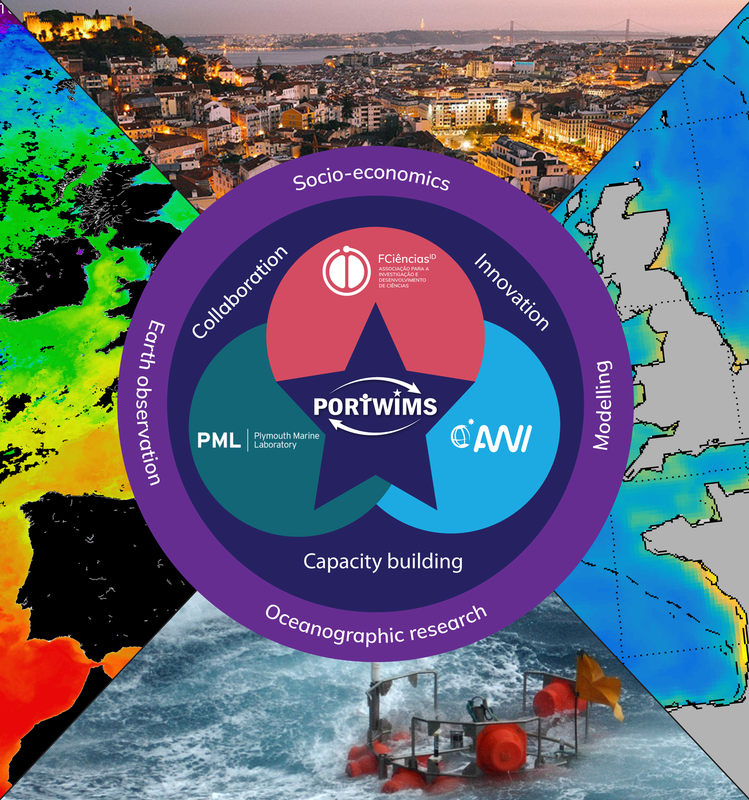 PORTWIMS will benefit individuals at various levels from PhD students, to post-docs, to mid-career researchers and professors through a programme of training courses and exchanges that provide opportunities for learning, collaboration and knowledge exchange. Accordingly, the project will significantly increase the research excellence of FC.ID in marine sciences and earth observation; enhancing its reputation, networking abilities and capability to compete for research funding. The project is based on an interdisciplinary approach, developing marine sciences services in Portugal, and creating a better-prepared cohort of scientists. The project will benefit from networking between existing nationally or internationally funded research activities that will feed into the project. Marine science is an area of high relevance to Portugal, and one of the five key areas in the Lisbon region Smart Specialisation Strategy. Sustainable development of marine resources is also an important consideration in countries prioritised by Portugal for Official Development Assistance (ODA). EO and the use of spatial technologies is a major priority for the Portuguese Ministry of Science for 2020-2030, aiming at creating new jobs in IT and responding to societal challenges through the exploitation of satellite data. turning innovative ideas and research into knowledge-intensive services and products. PORTWIMS has an aim of leaving a long-term legacy of Research & Innovation enhancement beyond the end of the programme. The diagram above show the focus of the PORTWIMS project, you can find the contact details for the Work Package leaders on the contact page. The innovation team will consider all aspects of the project and its outputs from the innovation perspective and advise on appropriate mechanisms, opportunities or approaches to develop promising ideas or services, based on existing national activities that could be exported to Portugal.